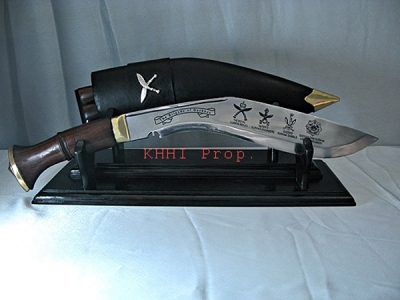 The word decorative signifies that all these kukris are intended for decoration purpose although they can be used freely as any functional knife. 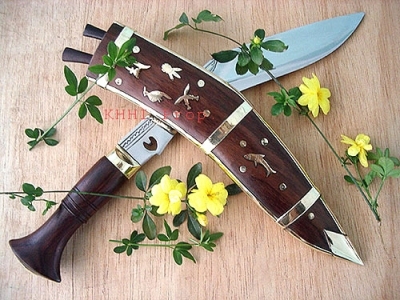 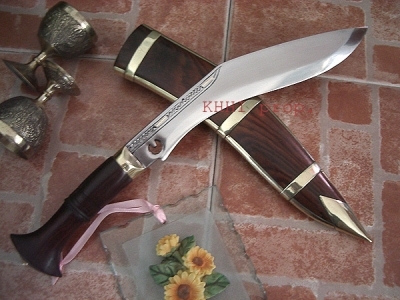 Some have decorative sheaths made from wood and horn and some come with ornate (engraved) blades. 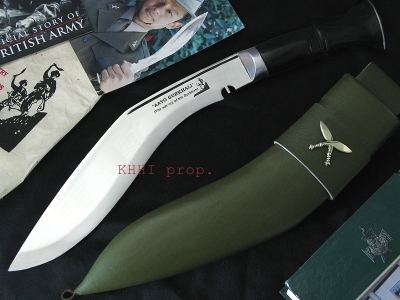 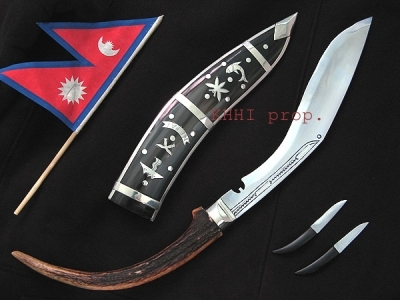 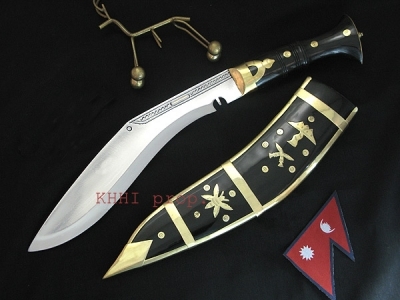 The same traditional working kukris are fitted with hand carved decorated sheath mainly having the national in some khukuris where as some blades are chemically engraved by symbol/images of the legendary Gurkhas to honor them. 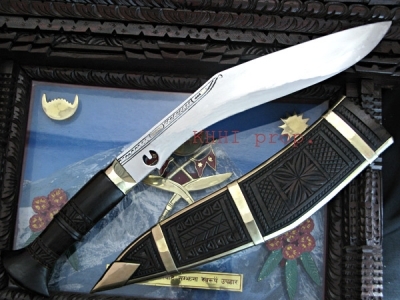 Dhankute kukris design came a long way since 1970s and has not changed yet where as the engraving version of decoration was started by Mr Lama (founder and MD of KHHI) after he took over KHHI in 2004. 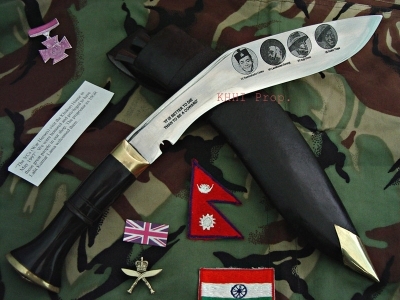 A gift that can remain as a faithful friend..a piece of Nepal and Gurkhas..